Welcome to Day #9 of Chocolate and Caramel Theme Week. Today's vegan Salted Caramels with Vanilla and Sea Salt, from Lulu's Artisan Chocolate (Sedona, AZ) were covered in dark chocolate that was made with "Wild Harvested, Heirloom, Arriba Unroasted Ecuadorian Cacao." 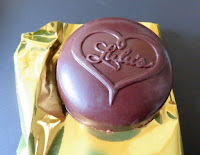 Dark 78% cacao chocolate surrounding the caramel filling had smooth, rich flavor. And the hint of citrus flavor (essential oil of lemon) added a unique, pleasing finish. 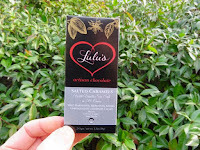 *The Salted Caramels were sweetened with coconut nectar and coconut palm sugar. Welcome to Day #8 of Chocolate and Caramel Theme Week. This GuyLian Belgian Chocolate Caramel bar—imported and distributed by GuyLian USA Inc. (Englewood Cliffs, NJ)—was a slightly more elegant take on a candy bar. The milk chocolate bar (scored into four segments) was filled with a thin layer of soft caramel. 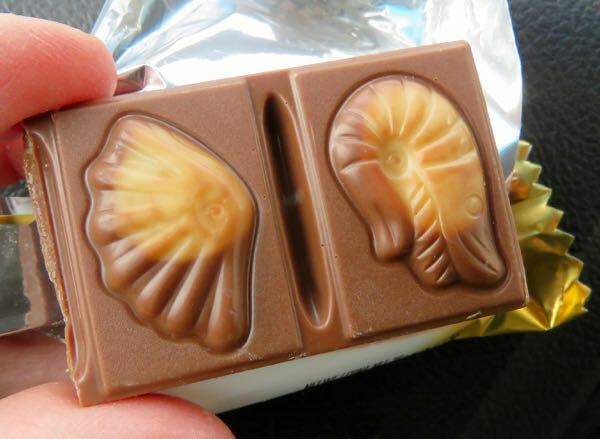 Each of the 4 squares that comprised this bar was adorned with a sculpted white chocolate likeness of a marine creature, mollusk or shell. The milk chocolate was relatively sweet and lacked the depth of flavor a darker bar might have had, but I enjoyed looking at these sea-inspired shapes. 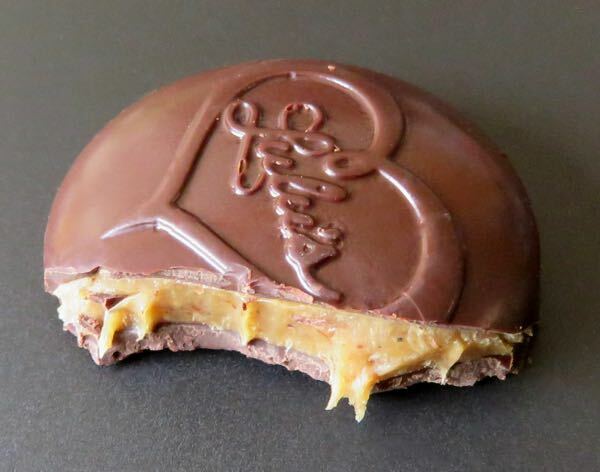 Welcome to Day #7 of Chocolate and Caramel Theme Week. 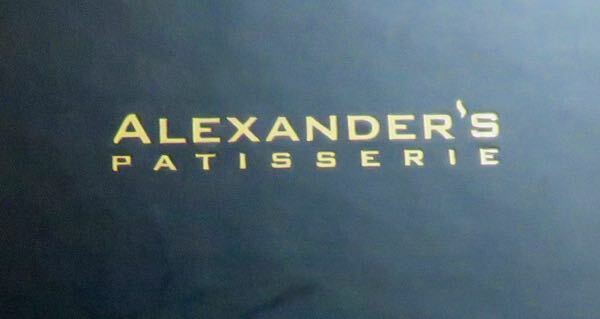 Today's Chocolate and Caramel Macarons were from Alexander's Patisserie (Mountain View, CA). These attractively packaged, flavorful macarons were sweet and light with creamy centers, and were displayed in a macaron case containing a variety of colors and flavors. Other flavors sampled included: Earl Grey, Lemon Poppyseed and Raspberry.